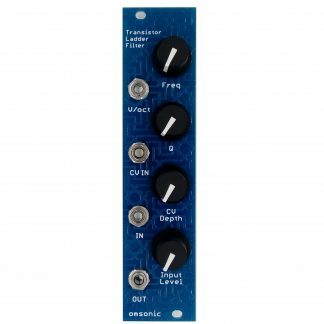 omsonic - Triangulum a triangle core analogue eurorack VCO ! View basket “omsonic – Triangulum” has been added to your basket. 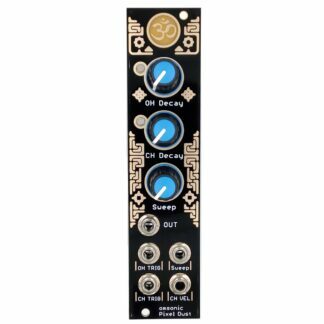 An extremely solid triangle core analogue eurorack VCO with excellent temperature stability, tracking over 7+ octaves and lots of nice features in a small 10HP footprint. 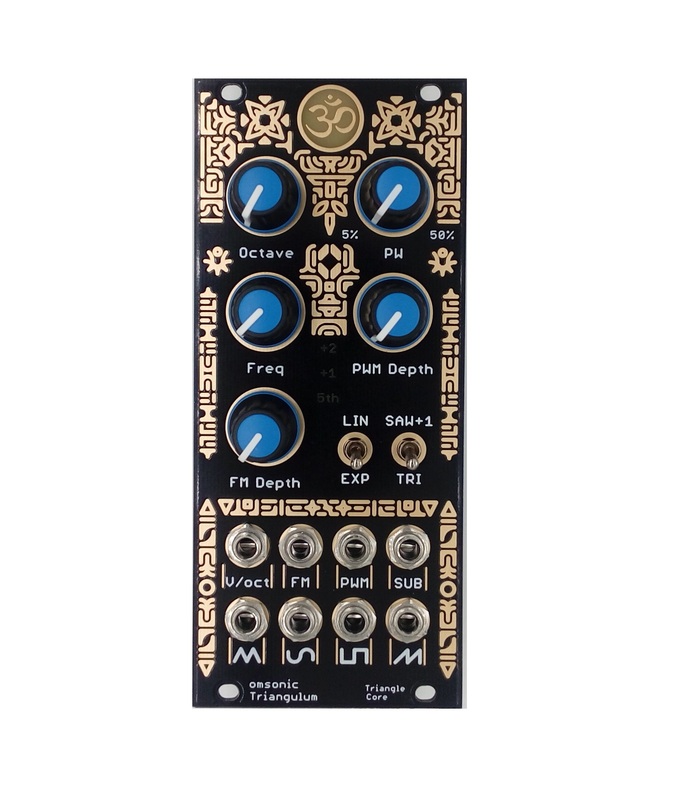 The omsonic Triangulum is an extremely solid triangle core analogue eurorack VCO with excellent temperature stability, tracking over 6+ octaves and lots of nice features in a small 10HP footprint. 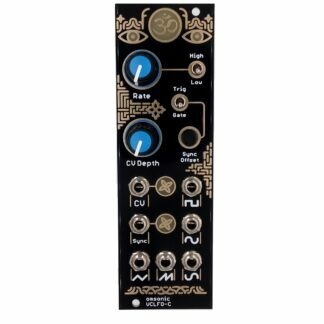 Unlike most other eurorack VCOs the square wave pulse width is calibrated to exactly 50% meaning it sounds similar to a lot of classic synths that used this technique such as the Roland System 100m for example. The Triangulum has 2 separate saw wave outputs crammed into, it has one normal saw wave output and a second saw wave output exactly one octave above all the other waves. 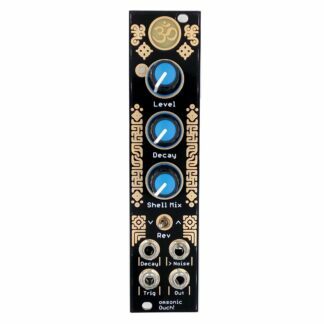 Due to the small size of the VCO the second “SAW +1” out is selected using a switch that selects between triangle out and SAW +1. 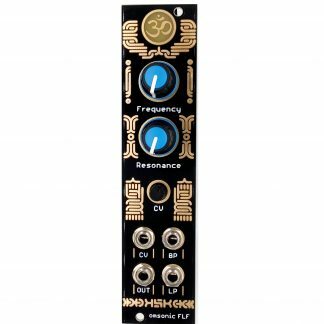 Below the octave switch is a “freq” knob that can be used to tune the VCO over 2 octaves. 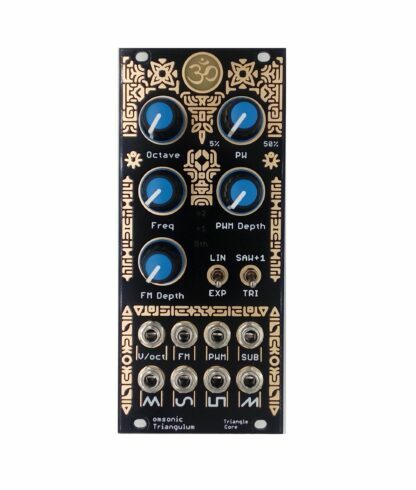 The freq knob is connected to 3 indicator lights “5th, +1, +2” these aid in quick tuning by lighting up when the VCO is at +7 semitones (a 5th), + 1 octave and + 2 octaves. 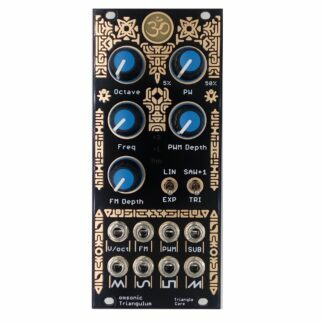 The triangulum makes use of onboard voltage regulators meaning the VCO will have the same calibration characteristics in every system it is used in, this also helps with stability. Triangle wave output can also be changed to a saw wave exactly one octave above the pitch of all the the other waveform’s using a switch. 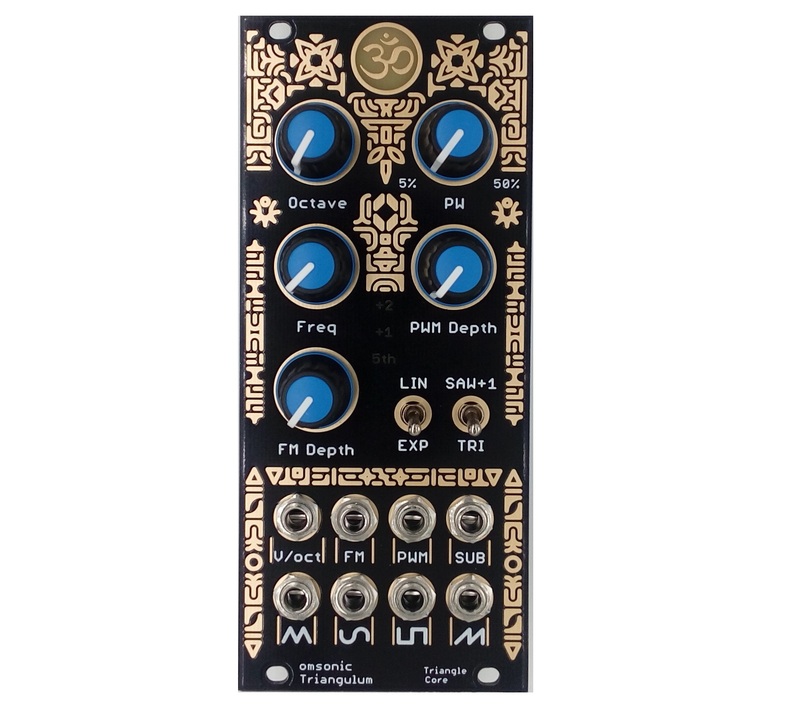 Please note unlike my other modules this one has a matte black panel ! 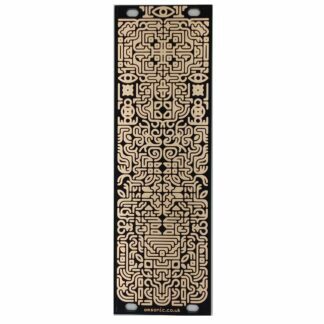 The omsonic Triangulum on Modular Grid ! 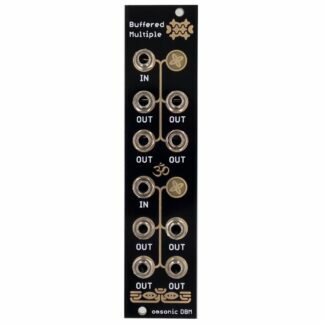 omsonic - Pixel Dust BACK IN STOCK SOON... omsonic - Transistor Ladder Filter FULL DIY KIT.